We love Christmas crafts all year round, and we're happy to see you, our readers are feeling the spirit of the season as much as we are. Whether you've been in the mood for Christmas ornament crafts, handmade Christmas gift ideas, or some fun Christmas crafts for kids, there have been some quick and easy Christmas crafts that you've loved all year. We've followed the best Christmas trends and created a new collection, 2012's Easy Crafts for Christmas 100 Christmas Crafts for Homemade Christmas Gift Ideas, DIY Christmas Decorations, Handmade Christmas Ornaments, and Free Christmas Patterns with all of the top Christmas craft projects on our site. Our collection features the best of the best when it comes to Christmas crafts. We made sure to cover everything from the most unique ornaments to make this year, to ways to spruce up your Christmas home decor, to the chicest Christmas fashion designs made from the best free Christmas patterns. Whether you're a fan of paper crafts, Christmas sewing patterns, or thrifty recycling crafts, this full list of our most popular Christmas crafts will give you inspiration for the holiday season. Make your dream tree a reality this Christmas with Christmas ornament crafts made in practically every way possible. You'll find classic bauble designs, Christmas ornament crafts made with fabric and felt, and paper Christmas ornaments, all of which will last you for years. 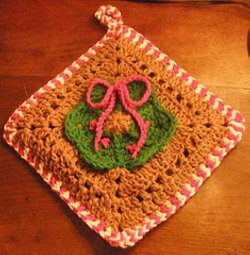 There are also free Christmas patterns for sewn Christmas ornaments, crochet Christmas ornaments, and knit Christmas ornaments. 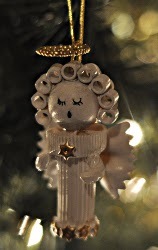 Every crafter can find the perfect handmade Christmas ornament craft to make this year. Forget standing in long lines to buy the same gifts that everyone else will be giving this year. Show your loved ones how much you care with Christmas presents that you made yourself. Our collection includes all of your favorite DIY Christmas gifts, plus even more ideas for good Christmas presents to make this year. 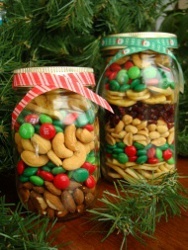 These homemade Christmas gifts are affordable, and can easily be personalized for whichever family member or friend will be receiving them. Every year, Christmas crafters get more and more thrifty with their recyclables and homemade materials. Recycled craft projects, as well as green crafts have made a big splash this year, so get ready to learn new ways to make everything from Christmas ornaments Christmas gift tags without spending 10 dollars. 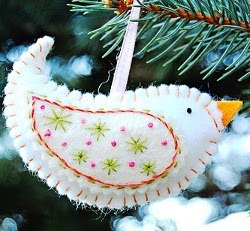 If you want more green crafts, check out 57 Christmas Crafts from Recycled Items. This collection has the most incredible Christmas crafts that also help you save money during the holidays. Children will be home for winter break during the holidays, and you don't want them sitting in front of the TV all day. Gather them together to show them how fun it is to do easy Christmas kids crafts. These Christmas crafts for kids have safe materials that are also fun for all ages to experiment with to create Christmas art projects and DIY Christmas decorations you can proudly put in your home. Get the kids really excited this year by giving them new kids Christmas crafts every day! Nothing makes the holidays more special than all of our favorite Christmas characters. Whether you want to learn to make an angel craft, a Santa craft, or an adorable craft snowman, we've got plenty of options. 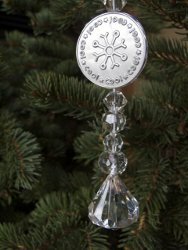 All of the characters of Christmas can come to life in your home as handmade Christmas ornaments and decorations for both inside and outdoors. Everything down to the smallest craft elf can be in your home this Christmas! Christmas crochet patterns, Christmas knit patterns, and Christmas sewing patterns come in all shapes and designs. Use them to warm up your home and your family with practical Christmas fashion crafts and throw patterns, or find a new tree skirt pattern to make your Christmas tree pop. The stocking patterns and handmade ornaments ensure that you'll have something to add to your Christmas traditions every year. With our 8 Unique Christmas Decorations to Make free eBook, you will get full tutorials for the best Christmas craft ideas. Christmas is truly the most wonderful time of the year. There are so many ways to show off your creativity and decorate your space, whether it is a door, apartment home or desk. Deck the halls like never before with your own snow globe crafts, wreaths, and garlands made by you. These Christmas home decor crafts are always a great opportunity for crafters to show off their designer style in every room. You can learn how to make centerpieces for the next Christmas party and still have time to make homemade Christmas decorations to hang across your mantel. Let these Christmas decoration crafts bring out the interior design in you!